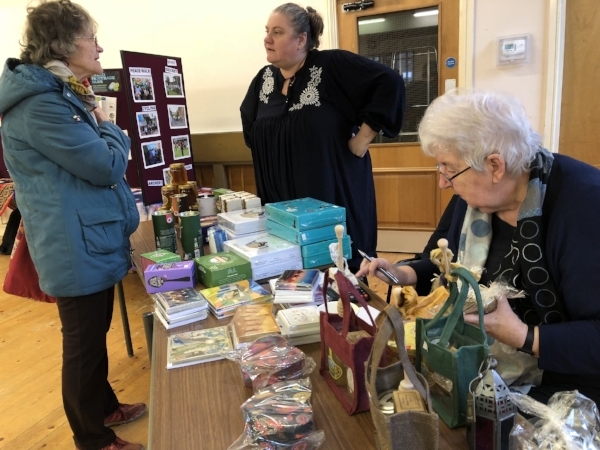 On a rainy day, GRASSROOTS, based in High Town Methodist Church, marked the first event of the High Town Living Advent Calendar, by welcoming the local community with free Fairtrade teas and coffees. People bought some beautiful Fairtrade Christmas hampers and other ethical and Fairtrade Christmas gifts including Fairtrade Santas for as little as £5 each. 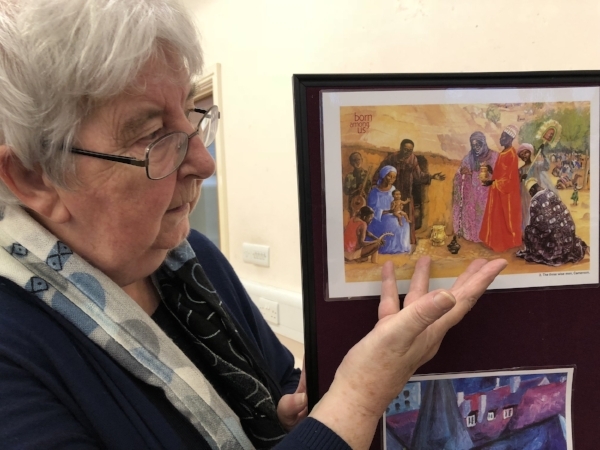 Sr Maire Hayes, Roman Catholic Northampton Diocesan Inter Faith Coordinator presented a challenging display of Christmas in Other Cultures (below).